Sausage stuffer - What sort and what size is good? After my second, and last, frustrating attempt to make sausages using the KitchenAid sausage stuffer, I am looking for a better stuffer. Any thoughts and suggestions on a good home model? I was in a similar situation last year and ended up going with the LEM 5lb stuffer after a lot of research and consideration. I feel like it provides the best mix of size, performance, durability (all metal gears), and cost. I've used it several times now (including a 60 lb, 3 sausage variety session) and am very happy with the results. Hopefully LS will chime in about Nella's grinders and stuffers. 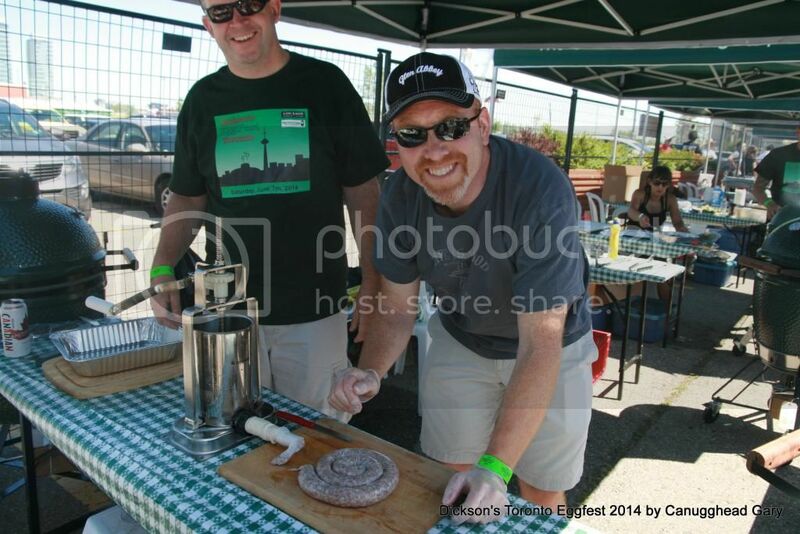 These guys brought their stuffer to the TO eggfest last year and this year. I think it's the 5-lb model from Princess Auto, I also see a similar model at A-M-A-Z-O-N dot C-A (hopefully this won't ban me from posting). You can search on both sites. BassPro in Vaughan also carries similar units. I bought an Enterprise 8qt off eBay few years back. Might be old and antique but will last me the rest of my life!!!! 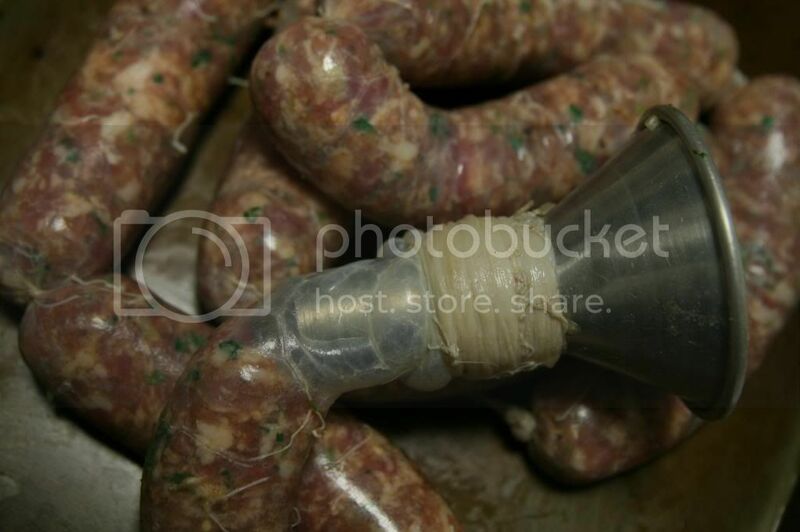 I did 10 lbs of Hungarian paprika sausage using the funnel from the Kitchen Aid. It worked and the results were very good but it took more than a while to thumb stuff that much. Thanks all. Dude, I'll get a price from Aurora Importing for a grinder/stuffer/pommodori machine and send it to you. Maybe $350 for the whole deal and you need two pairs of hands to keep up with it. Looked for you at the TO fest,did you make it? ...Looked for you at the TO fest,did you make it? I have this stuffer and it's awesome. You control the speed by a valve on the unit. I'd say it depends on the size bbatches you want to do. The LEM #5 (5lb capacity) works for us. Just liek the Egg, you'll wonder why you didn't get one sooner. Makes stuffing a breeze and a one man operation.